The Emeryville City Council gave initial approval this week to raise the city's minimum wage to $16 by 2019, the highest rate in the nation. 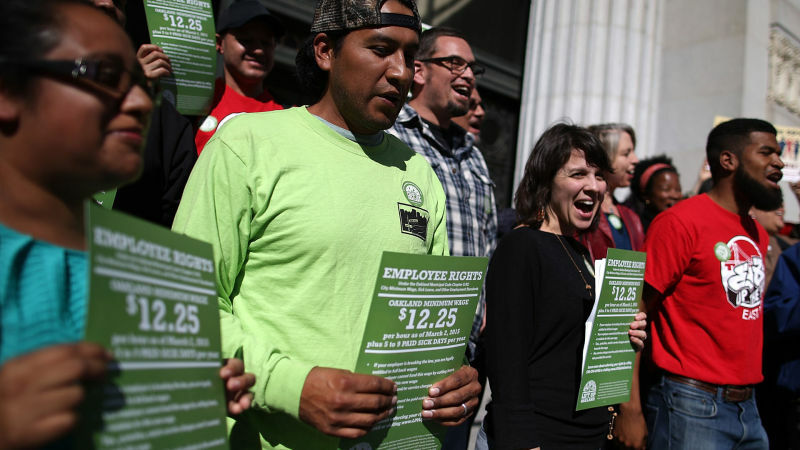 The vote comes after San Francisco increased its minimum wage to $12.25 last week, matching that of Oakland. As other Bay Area cities consider similar wage hikes and the national "Fight for $15" movement gains attention, we look at the history of the minimum wage and its effects on workers, businesses and the economy as a whole. More: San Francisco Joins Oakland With Highest Minimum Wage in U.S.
Michael Reich, professor of economics and director of the Institute for Research on Labor and Employment at UC Berkeley and author of "When Mandates Work: Raising Labor Standards at the Local Level"